Buy online our clothing and fashion fabric 'Calabrone' Blue Stretch, Wool Gabardine Stretch, Made in Italy. Our stretch wool gabardine is a luxury and tightly woven 100% pure wool fabric, featuring small diagonal ribs throughout. When someone says classic fabric, this is what they mean. Smooth, but with a springy hand, it falls perfectly in the finished garment and holds its shape without wrinkling too easily. 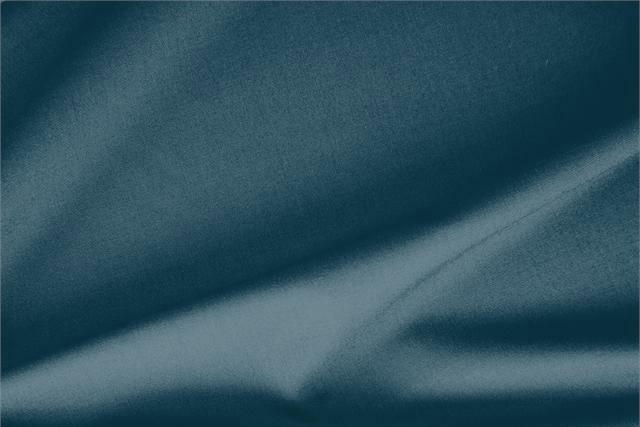 Versatile and stylish, our stretch wool gabardine fabric can be worn all year round and is ideal for making dresses, jackets, trousers , skirts and suits. Calabrone Blue Gabardine Stretch Plain fabric for Dress, Jacket, Pants, Skirt.